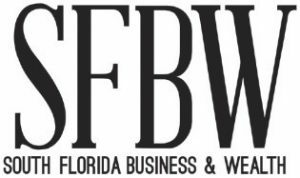 SFBW hosted a roundtable with some of the region’s condominium developers and a general contractor to accompany this month’s list series. 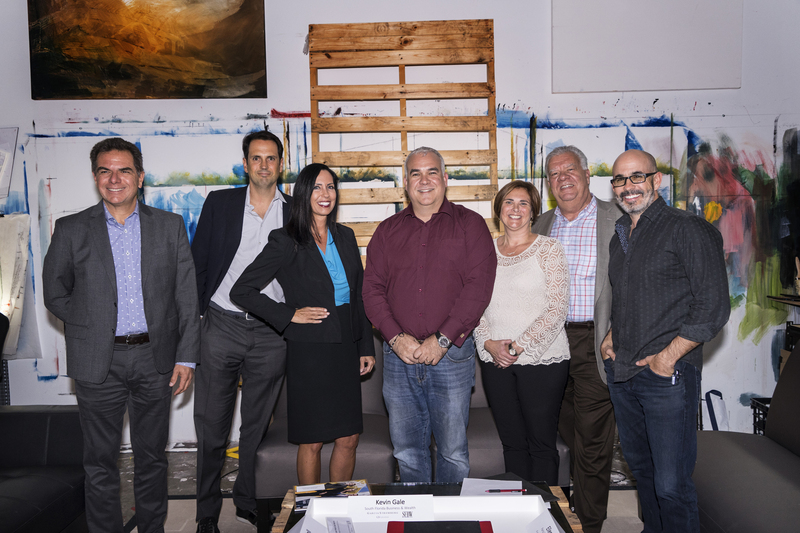 Architecture firm Garcia Stromberg | GS4 sponsored the discussion, which took place at its West Palm Beach studio. GS4 president Jorge Garcia joined the conversation. What are some of your coolest features, such as amenities? Galanti: We are building a golf simulator room in one of our buildings. We also have cigar rooms as well as a walk-in wine room. Auberge Beach Residences & Spa in Fort Lauderdale is three towers ultimately; two towers are done. Ardid: We’ve seen the condo market change drastically from development in Miami, which was sold a lot to South and Central Americans. Doing big buildings where there’s 400, 500 units. You were going for a certain price point and you were stacking up with amenities. The Harbour in North Miami Beach has soccer and tennis courts, pools, kids’ rooms, a gym and a spa. Now the market is focused on condos that feel like homes—smaller-scale and higher-end. The Harbour average price was $650,000 and the average price in Boca is $4.2 million. You’re giving people a slice of the ocean for a lot less than what they can buy for a $15, $20 million home, which is what those buyers are going for in those areas. A few years ago, you were giving a piece of Miami for a certain price point. Now you are giving people a place to live by the ocean at a lower cost than a house. Parisi: I think developers are reacting to how much space they allocate to the amenities on site. And instead, pair it with a concierge service that provides access to a lifestyle buyers are looking for. 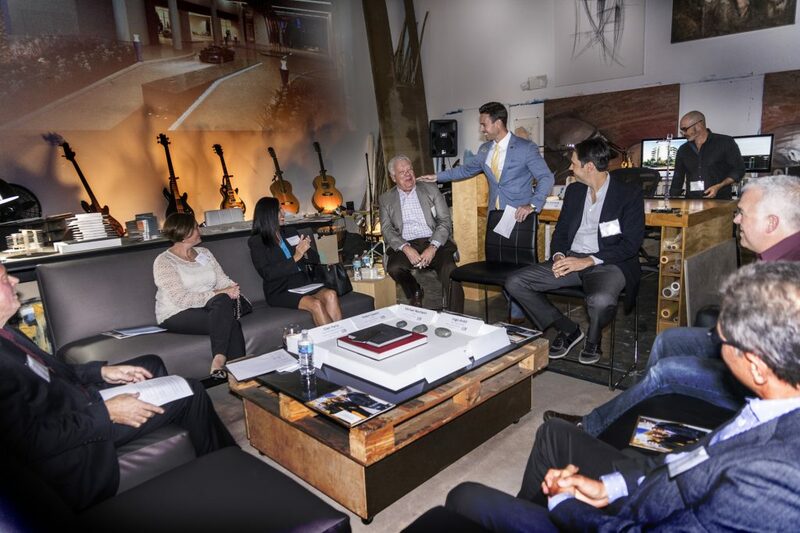 At our project, 3550 South Ocean in Palm Beach, the things we’ve really focused on are health and wellness, technology, transportation and privacy. The technology piece that we have is a system that allows our buyers to have an app on their phone. So, if they are anywhere and they need to let somebody into the gate, into their home or elevator to put away groceries, or a friend beats them to their home, they can do that right from their phone. They can give access to the cable guy and let them in, and the system will let the homeowners know when the service person leaves. For the health and wellness side, we have this terrific fitness center with state-of-the-art equipment. We are using both Peloton and Technogym. And we have a partnership with a resort and spa right down the street. So, our buyers are going to walk away with a really nice welcome package. We put in some electric vehicle-charging stations, but we’ve also got our own electric vehicle that can take them to the spa if they want. Coll: We try to give the buyers the feeling of South Florida with open spaces, expansive terraces and all the amenities, such as electric car chargers and a rooftop pool. We have both ocean and Intracoastal views. We offer golf carts to go to the beach. San Martin: I think it’s about being smart with how much space you have to work with. And it’s more about the services that people are getting than a big room with not much thought put into it. We’ve integrated a hotel component to an apartment and made them a little bit separated. So, the hotel services come with a la carte access for our owners on the beach, offering them the hotel services mixed in with amenities, the fitness center and rooftop sunset pool. The technology aspect is incredibly important. In our case, we have smaller units and are a good place for short-term rentals. We have an app that can send a key, and there’s a time limit to it. We’ve made it easy for them. Often, it’s not about the money for people; it’s about simplifying the lifestyle. Garcia: It used to be that the big brands, the Four Seasons, Ritz Carlton and so on, could afford to brand the condos. Some of our clients we have now are doing a “soft-branded” amenities package instead. San Martin: If you’re able to get the intermixing of both in a way that they don’t kill each other. For example, we’ve got that eighth-floor pool, which is a hotel amenity. But the hotel access has its own private elevator and it doesn’t go through the condo, and the condo has its own access. Where are we with the development cycle? 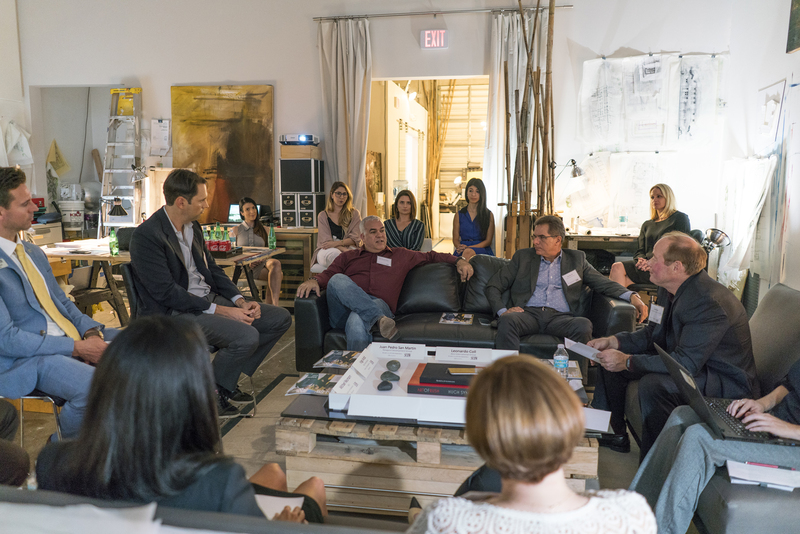 Ardid: I think that in Miami we have a lot of projects on the condominium side. On the rental side, so far it is being absorbed. I think when you get out of Miami and into Broward and Palm Beach, you don’t have the same supply problems. It is hard to find land in all of the counties, so that kept a lid on development. In Palm Beach, there hasn’t been the high-rise development that there has been in Miami and in Fort Lauderdale, so that puts a limit on the supply side. And you have a lot of people moving into the three counties. I think on the condo side, Miami is tougher right now unless you can do something small and boutique, but it’s hard because most of the areas in Miami are zoned for big density and it’s hard to get those projects off the ground if you don’t have presales. It’s a tough presale environment right now. Overall, the big issue is finding land that’s well located at a price that makes sense for development. Coll: I think the cycle is a baseball game. It’s the seven-inning stretch, but the game is not going to end. San Martin: I think the South Florida market is so different from everywhere else, especially in the United States. We have people moving in every day to all three countries, from the U.S and outside the U.S. There is demand and it’s a little bit cyclical. But I think the right products in the right spots is what keeps us moving. I think it’s finding the right twist. We need to be more creative to keep it going. What impact, if any, do you see from rising interest rates? Galanti: From our perspective as contractors, we aren’t seeing too much impact from interest rates rising. What concerns us more is the increased costs of labor and materials. And if that continues to rise, and if interest rates continue to rise, that combination will impact the project formula in a negative way, so there could be repercussions. Are the trade barriers or rising interest rates having any impact? Galanti: It is. What we are finding that’s happening is, the prices of materials are fluctuating. Parisi: Our client bases are generally the type that interest rates don’t impact them. What I will say, when the interest rates rise just slightly, what it does is alleviate the players who aren’t as serious. And with luxury, we mostly have cash buyers. San Martin: Our development market in South Florida is still a high-deposit buy. Our condos sold from $395,000 to $1.5 million. And our buyers putting down 50 percent. There’s more concern on finding people to do the labor. Coll: For the lower-priced units, under $300,000, I’d say the rising interest rates are an issue for people. Ardid: Also, the value of the American dollar affects buyers. Miami started to slow down pretty drastically when the value of the dollar went up. Garcia: There has been a lot of tremendous lessons learned. What geographic areas are buyers coming from, and how is that different from 10 years ago? Ardid: In Miami it was—this cycle—we had South and Central America, but the countries within those have completely changed. Mexico was weaker this time around, Brazil was stronger and Venezuela was strong at the tail end of the last cycle. Russia wasn’t as strong and you got a lot from the Northeast coming in. So South and Central America have winded down. People from the Northeast are a different buyer. They are not as much as a speculator and they are higher-end buyers. They are OK with paying $1,000-plus a square foot, but they want quality, because they are buying it as a home. They are really going to ask a lot of questions for their comfort. 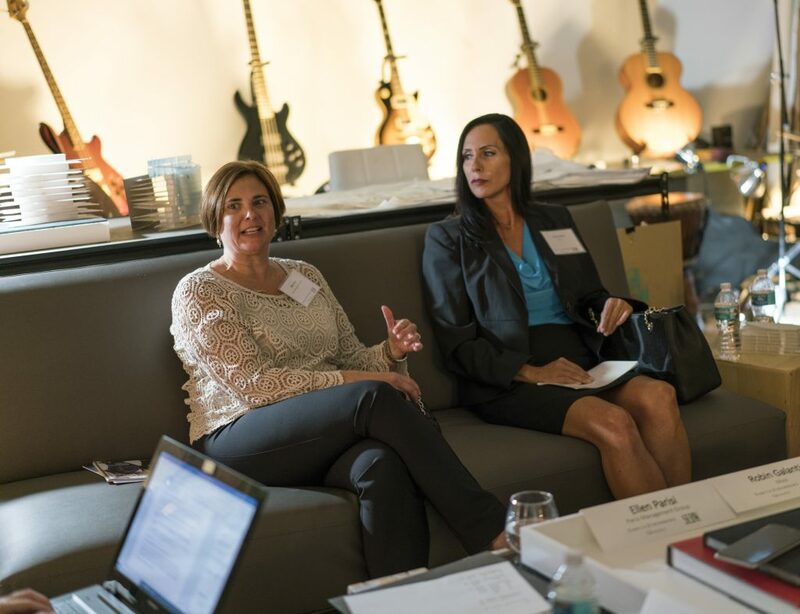 In Miami, people are looking to buy for an investment or a second home. The Northeast buyers are moving here, or they are splitting their time—six months, six months.